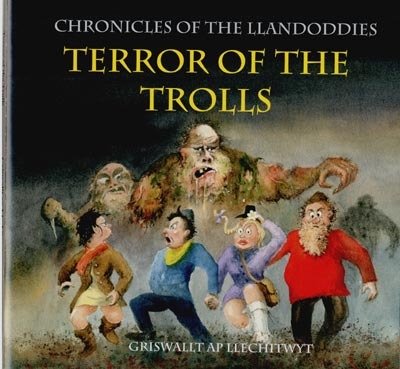 These dirty, disgusting creatures are moving into the Pwll-du mine beneath the Rock Park, and their first aggressive action is to kidnap Rhiannon while the other Doddies are watching Doddie flying ace Odius Peasnort attempt to cross the River Ithon in his flying machine. A crack Doddie rescue team is sent into the mine to rescue Rhiannon, but quickly runs into trouble. The pace is fast and furious, and once again Big Dewi makes a complete Wally of himself as he bungles onwards. The rescue team is outnumbered and completely at the mercy of the huge trolls who will think nothing of eating them for breakfast. Or afternoon tea. Can they find Rhiannon? Will they be able to escape from the dark, damp depths of the mine where who knows what lurks in the shadows? 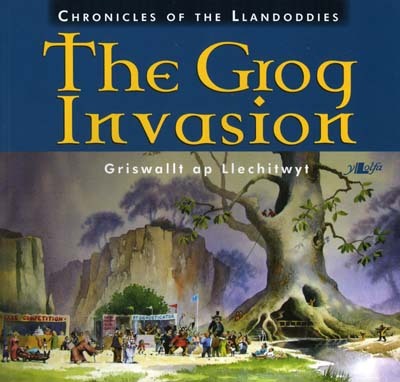 All the popular characters out of The Grog Invasion are here, including the unpredictably wild Witch Coarsecackle, in a story even more belly-laughing than the first book.